In 2018, the average base salary (assured earnings paid to metro-Detroit area automotive OEM sales professionals** was: $117,055.00*. The figures are essentially unchanged (a decrease of approximately $1.83 per week) from the 2017 figure of $117,150.00. The survey is comprised of OEM sales professionals (not including management or entry-level candidates) with a minimum of five years of experience calling directly on automotive manufacturers and / or Tier Suppliers. The survey conducted last year (2017) represented the largest one-year increase (11%) since we began tracking these data in the early 1980’s. The 2018 results may indicate that the benchmark achieved last year has proved to be sustainable, or (for now) hiring authorities within the supplier community are holding steady as many firms transition toward new technologies, product configurations, key customers and geographies. While demand remains high for marketing, management and technical people, the availability of top talent continues to be limited. 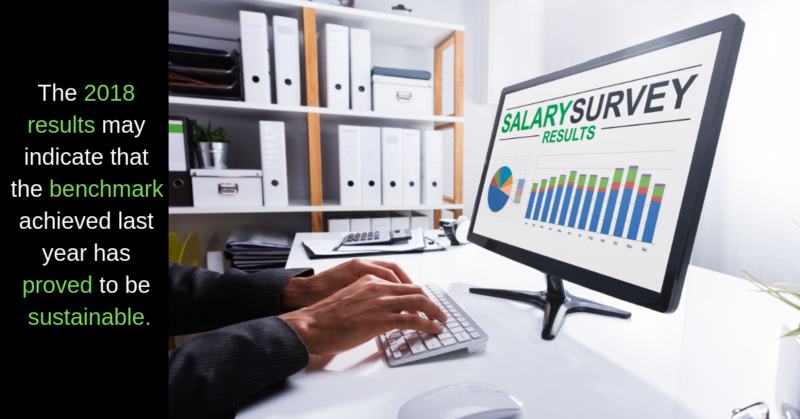 I envision salary offerings along with other incentives to be competitive in the coming year. Compensation such as commission, bonus, benefits, expenses and company vehicles / allowances have been excluded from the analysis. Earnings average is for the guaranteed first-year salary only. ** Job titles surveyed under the heading of sales professionals could include: sales /account representative, sales engineer, account manager, account executive or various configurations of these titles.